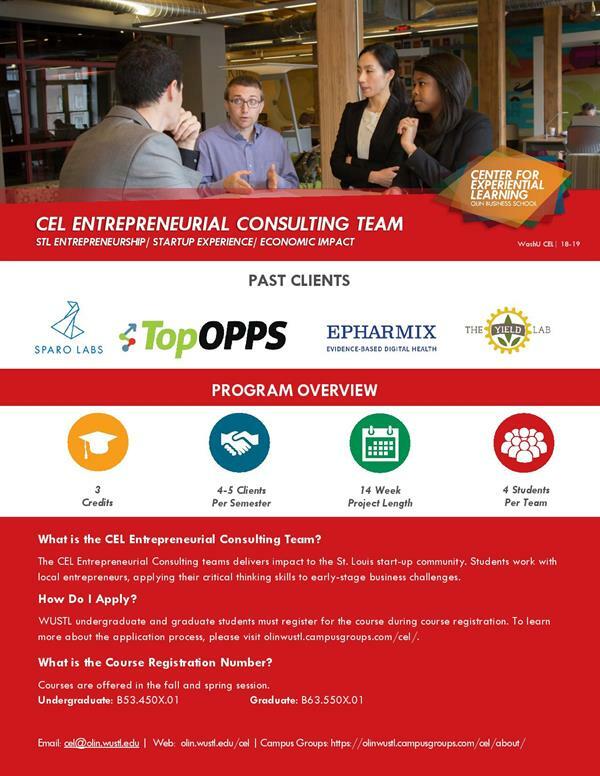 The CEL Entrepreneurial Consulting Team (CELect) delivers impact to the St. Louis start-up community. 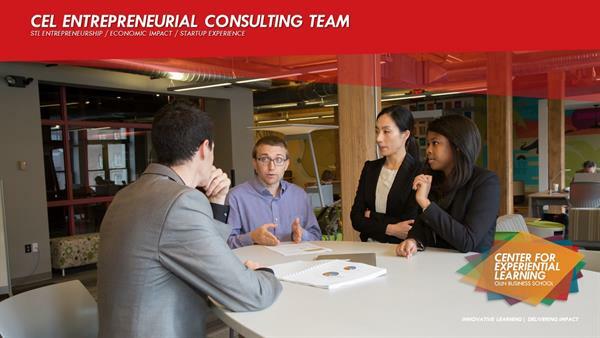 Through a partnership with the T-REX incubator, students work with local entrepreneurs, applying their critical thinking skills to early-stage business challenges in marketing, resource management, and strategy. For more information, please click here. "CELect allowed me to really take charge on a project with real impact on real people. In my other classes, while I'm working on a client project where I'm doing case studies and analysis. In CELect, it's really the same thing, except it's real. I'm applying my knowledge from studies and life to help a local startup do better; theres no price tag on that." "As a law student, CELect gave me an opportunity to peek into the business world, and understand what clients want for their business and their development, and how attorneys can help them achieve those goals"
Register for the course. You will be placed on the waitlist automatically. CEL staff will reach out to students accepted. After accepted, stay tuned for application to rank interest in clients and submit general information.